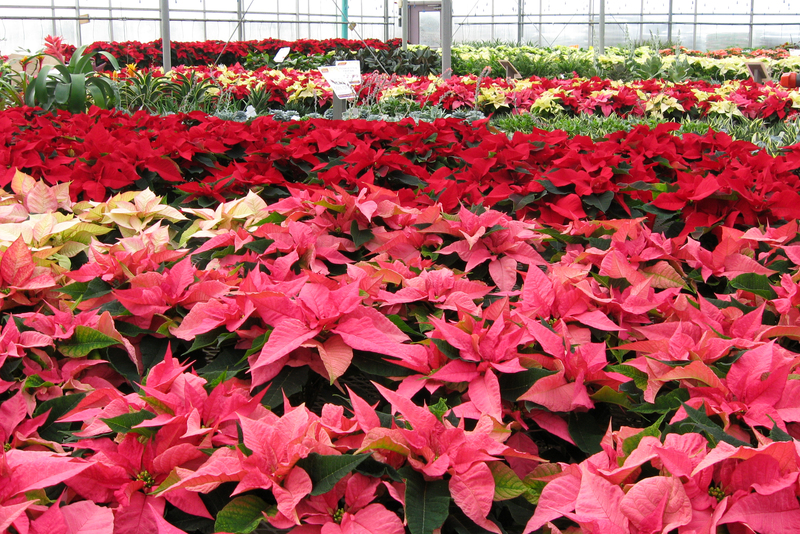 Poinsettias are a popular symbol of Christmas in North America. The name is pronounced poin-set-ee-uh and spelled with an ia at the end of the word, not just an a as thousands on the Internet would have you believe (poinsetta). 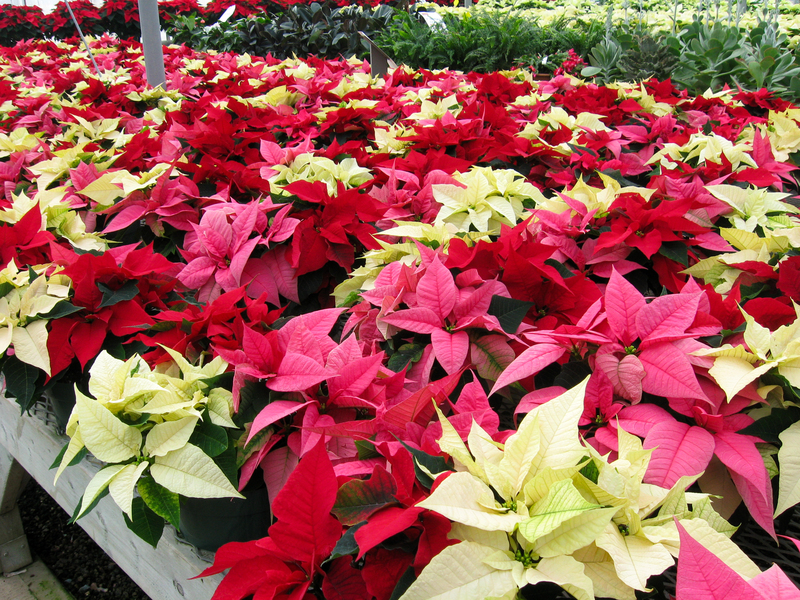 Nor is there an extra t (pointsettia) as thousands more believe. 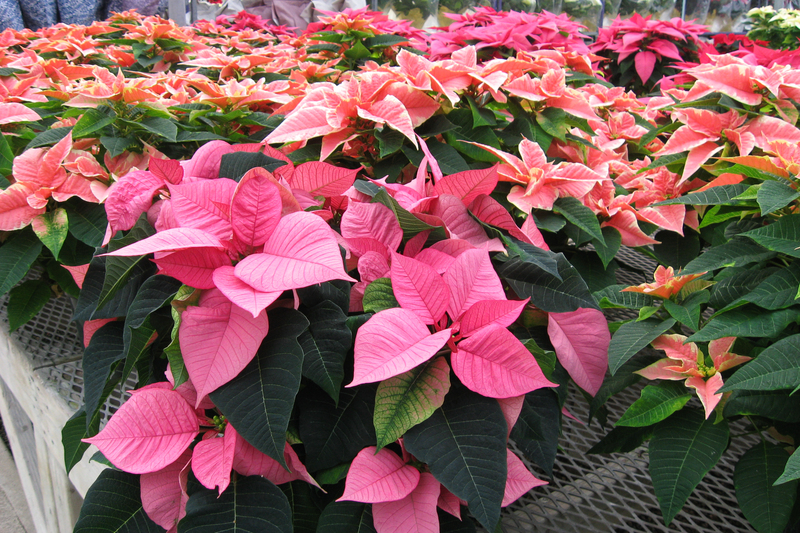 The poinsettia is native to Mexico and Central America. It was first brought to North America in the 1820s by the first United States Minister to Mexico, Joel Roberts Poinsett. Poinsett was a physician and amateur botanist who went on to be a co-founder of the National Institute for the Promotion of Science and the Useful Arts (a predecessor of the Smithsonian Institution) among other things. 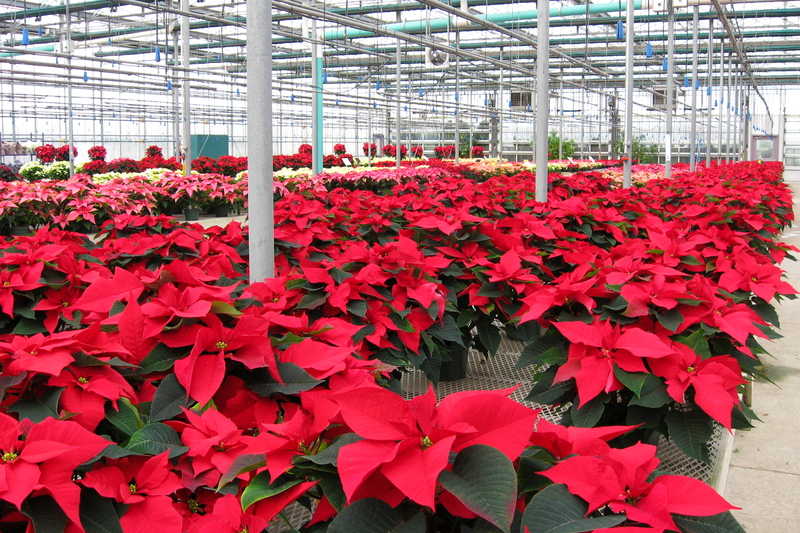 There are now over 100 varieties of poinsettias. They come in single or double form, with solid-coloured or marbled leaves, and in many shades of red, pink, salmon, cream and white. 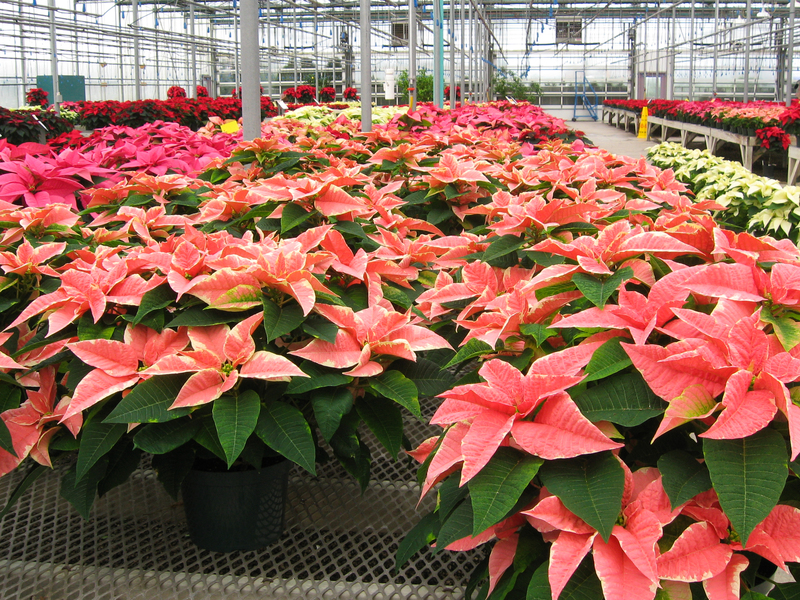 I love visiting the greenhouses at this time of year to see their poinsettia selections, although choosing just a couple of different varieties to take home is difficult. Beautiful. It’s too bad their dominance of the Christmas flower market has made them seem commonplace. They really are lovely. But the greenhouse setting still makes me shutter. They’re so bright and Christmassy. I love that mixed rack. I have to admit, I’m one of those folks who hasn’t a clue how to spell it, and probably would’ve said “point-” rather than “poin”.